Do you live in India and are curious to know more about playing online keno for the chance to win real money? We have provided an overview about India’s online gambling laws and explain where Indian players can give online keno a go at the world’s leading Internet casinos. If you’re not familiar with keno, it is a luck-based number game played in a similar style to the lottery and is very popular with players who enjoy games of chance. When playing keno in real life, players purchase a ticket from a vendor and mark up to 20 chosen lucky numbers from one to 80. Winnings numbers are then drawn and displayed on a TV screen, with any matches paid accordingly. Online keno uses the same format, except that you make your picks using the click of a mouse or a tap of your touchscreen rather than physically marking numbers with a pencil. You never have to wait for a draw, with games ready whenever you are, and you get to enjoy the convenience of playing from home. As online winnings are paid directly to your casino account, the added bonus is you never have to worry about losing a winning keno ticket again. Is it legal to play online keno in India? Gambling in India is a heavily restricted industry, with the states of Goa and Sikkim the only ones licensed to house land based casinos, but like many other countries around the world, the laws surrounding online gambling in India are murky. The laws governing gambling in India are over 100 years old as stipulated by the Public Gambling Act which was introduced in 1867, long before the Internet was even a fathomable invention. Because of these outdated laws, the current state of online gambling remains questionable. It is generally understood that online gambling is illegal, as the Information Technology Act of 2000 prohibits the transmission of information that has the power to corrupt, however gambling is not explicitly mentioned, which has left many to interpret their own understanding of the laws. The Information Technology Act also gives authorities power to block any offshore websites and the government has instructed internet service providers (ISPs) to block certain gaming sites, but this seems to be largely ignored. It is these holes in the legislation which means many offshore casinos continue to offer their services to Indian players, with the online gambling industry being a booming business in India. 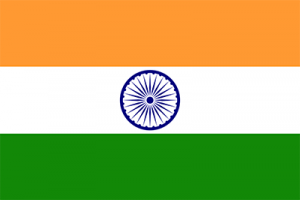 It’s important to be aware that each Indian state has its own laws regarding gambling. For example, Maharashtra has introduced laws under the Bombay Wager Act that clearly bans all forms of online gambling, making it unarguably illegal for Maharashtra residents to play real money games online. However, in Sikkim the state government approved the Sikkim Online Gaming Rules in 2009, making it legal for operators to obtain an online gambling license to offer real money casino games. Wherever you are in India, it’s up to you to be aware of the laws that apply to you and remember that if you do choose to gamble online, you are doing so at your own risk and there are penalties that could apply. While the laws are full of loopholes now, it’s important to stay up to date with any changing laws as online gambling in India is a hot topic as the country considers how to better regulate the industry. All Slots Casino – Don’t let the name fool you, as All Slots offers a lot more than just slot games. This leading online casino is powered exclusively by Microgaming, one of the leading names when it comes to online casino software. You’ll find Microgaming’s classic online keno game here, as well as the more vibrant and animated Monkey Keno, where the keno board is set against an ocean backdrop and cheeky monkeys throw coconuts at the numbers to reveal the winning picks. All Slots offers Indian players the option of downloading the premium casino software, or playing download-free directly over your Web browser. Emu Casino – Emu Casino offers one of the biggest selections of online casino games, so we’re thrilled that this venue accepts players from India. Emu is a multi-provider site, housing games from some of the best names in online gaming software. You can choose from such titles as Jackpot Keno, Video Keno, Kenotronic, Keno Kick Off and Keno Lab, all which are available for instant-play. Along with keno games, these top-rated sites also offer a tonne of other casino games, including slots, blackjack, roulette, video poker, scratch cards and live dealer games. Sign up for an account using our links and you will be eligible for some exclusive new-player welcome bonuses, like matched deposits and free spins on the slots. Given India’s unclear gambling laws, you may find payments via credit card or bank transfer blocked by your financial institution, as some banks refuse to process payments to any gambling related business. This is why many Indian players have turned to e-Wallets like Neteller or Skrill, online payment services which act as a middle man while also providing an extra layer of security. Still not sure if you are ready to commit to making a real money deposit? Our recommended keno sites allow players to try games for free using practice play, so you can trial the different keno variants and get a feel for online play before laying down any of your own cash. Sign up to play keno online at All Slots Casino and you can claim up to $1600 in matched deposit welcome bonuses when depositing real money to play with.